How to go to Dalat? Dalat is the capital of Lam Dong province. At the elevation 1,500 meters above sea level, Dalat has cool climate and become the ideal vacation city in the South of Vietnam. Just about 300 km from Ho Chi Minh City and 130km from Nha Trang city, Dalat is a great place for tourists to escape the hot weather of the southern delta. 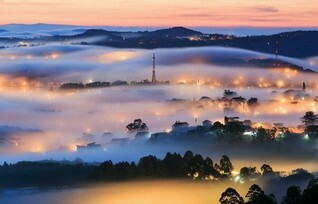 “Dalat is a dreaming and romantic city. Every time I come to Dalat, I feel like being in somewhere in Europe. The immense pine forest seems like opening a poetic fairy scene. Sometimes, my heart is like slow down to feel the gentle breath of Dalat. You should come to Dalat once in your life to be in harmony with the nature and simply to live slowly.” – The feeling about Dalat of a visitor. With my own experiences living and working in Dalat many years, along with the information source of travel blog for Dalat self-guided trip (the most prominent blog is Andy Nguyen). This blog post can give you some information and experiences in the cheapest Dalat travel with the best quality and exploration as possible. You will easily travel Dalat in a self-planned and self-guided trip which is flexible in your schedule with the maximum savings after reading through all the useful information that is detailed below. Hope you will have enjoyable travel experiences when coming to Dalat. 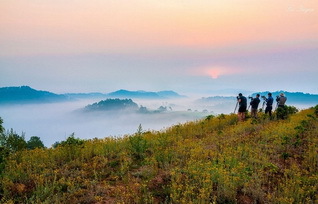 The best time to visit Dalat is from early October to March of the next year. Dalat is always a cool respite city but in the summer, it is usually rainy. The best time to travel in Dalat is July, August and September. There are two most popular ways to go to Dalat: coach and flight. If you do not have much time and financial excess, this is a top priority for you. To fly to Da Lat you can go with low-cost airlines as Vietjetair (www.vietjetair.com) and Jetstar Pacific (www.jetstar.com) or VietnamAirlines (www.vietnamairlines.com). Two low-cost airlines usually have promotion tickets online. You should follow their websites or register mail with them for cheap flight tickets. However, flying is always better than transfer by a bus (it only takes 45 minutes for check-in and wait for only 1 hour more); driving the bus at night time, drivers drive very fast and you also heard accidents on the pass of Dalat. In my opinion, Vietjetair and Jetstar tickets have prices on average ranging from 400,000 VND to 850,000 VND which are acceptable if you compared to the bus ride takes up to 8 hours (+30 minutes waiting). From Sai Gon or the southwestern provinces, you can select one of two high-quality double-decker buses, Phuong Trang and Thanh Buoi. Service time is very frequent; having a bus every a half of hour starting from 5 AM to 1 AM the next morning. Phuong Trang or Thanh Buoi, which one should you take? Thang Loi Taxi (Tel: 0263. 383 5583) or Da Lat Taxi (Tel: 0263 355 6655), Lado Taxi (Tel: 0263 3666 777), the price is 250.000 VND / one way to the hotel. Or Mai Linh Taxi is charged per km. If you go in group, let’s take a taxi for saving, driver can bring you to your hotel or required place. If you go alone or two people, the cheapest way is the shuttle bus of Lien Khuong Airport (40,000 VND / person). This shuttle bus will stop at Ngoc Phat Hotel (opposite Big C supermarket) or Da Lat Market. This is an economy solution with low cost and flexibility. Phone number: 0263 3700 687, weekday price is about 80,000 – 90,000 VND, holiday price is about 110,000 – 130,000 VND. You can rent at the shop of woolen on Nam Ky Khoi Nghia Street about 5 minutes to walk to the market. Kiet Lien shop is beside Minh Phuong photography shop: 5 Nguyen Thi Minh Khai Street, tell: 0263 832 619 or 0918 012 843. Motorbike taxi drivers in Da Lat as well as other tourist cities in Vietnam often wait at the crossroads. The area around Xuan Huong Lake is the place for you to choose if you want to rent tandem bicycle (you should rent this one in the evening is good ideal). To rent a tandem bicycle you need ID card. The price is quite cheap. There are many cheap and reasonable accommodations for you when travelling to Dalat. Some hotels you should refer before your trip. Hai Uyen Hotel / Tell: 0902.435.245 / Cell phone: 02633.510.733 / Address: 67, Nam Ky Khoi Nghia Street, Ward 1, Dalat. Nhu Anh Hotel, price is 300,000 VND / double room. Address: 33 Vo Truong Toan Street, Ward 8, Dalat (behind Dalat University). Hotel Thanh Dat / Phone: 02633.820.826 / Address: 6C, Nam Ky Khoi Nghia Street, Ward 1, Dalat. Hotel Tam Dung / Phone: 02633.823.170 / Address: 18A, Nam Ky Khoi Nghia Street, Ward 1, Dalat. Hotel My Hoa / Phone: 02633.828.123 / Address: 20, Nam Ky Khoi Nghia Street, Ward 1, Dalat. Hotel Juno Phuong / Phone: 02633.54.6868 / Address: 8A-8B, Nam Ky Khoi Nghia Street, Ward 1, Dalat. Hotel Phuong Chi / Phone: 02633.824.317 / Address: 12, Nam Ky Khoi Nghia. Double room: 200,000 VND/night – 250,000 VND/ 4 people/ night. Hotel Nguyen Anh / Phone: 02633.825.740 / Address: 30, 3/2 Street. Hoang Nam guest house. Contact Mr Phong: 0986684000. The average price is from 180.000 VND / night (2 persons). Lan Anh Hostel – 09 Nguyen Trai St., Ward 10. Price is around: 120,000 VND/ double room. Hoa Hong Villa, 01666060589, 0977958575. Address: 35 Tran Binh Trong Street. Villa No. 14. Address: 01 Quang Trung Street. Phone: 0908847604 or 0633810898. Dalat is the convergence of many dishes from all regions in Vietnam. However, cuisine of the north and the central are more popular and delicious with dishes such as: broken rice, crab soup and vegetable, “Da” crab soup, stir-fried morning glory with garlic, Hue rice noodles, Quang rice noodle … Also Some dishes of the Chinese. – Hue beef noodle soup: White hair old woman shop – 37 Hung Vuong Street, near Ranny cafe, open in the morning. – Pho Trang: No. 3 Bui Thi Xuan Street, 100 m from Xuan Huong Lake, on the left side, open all day. – Beef noodle soup O Cong (6:00 am – 7:00 pm) – Phu Dong Thien Vuong Street. It is very delicious, special bowl have grilled mackerel fry. The shop is very crowded with guests. – “Nem nuong” grilled meat roll – 4 Bui Thi Xuan Street (near Hoang Anh motorbike rental shop), open in the whole day. If you would like cheap and good food, you can go to Dalat market on the second floor. There are dishes such as noodles, porridge, rice, rice noodle, Vietnamese steamed rice rolls… with the price is very reasonable from 15,000 VND to 20,000 VND per dish. Or around the area of ​​Da Lat market there are many eateries with prices around 20,000 VND. – Huong Tra with steamed rice in clay pot, Nguyen Thai Hoc Street, this is delicious and cheap, has a large parking lot for car. – Vinh Loi Restaurant is at 3 Thang 2 Street, next to the traffic roundabout. This one is very crowded both day and night. – Broken rice at the end of Hai Ba Trung Street is 300m from La Son Phu Tu crossroad on the right hand side. This place is good and serves all day time. – Hanh beef hot pot – Bui Thi Xuan Street. This shop is small and cheap but always crowded from afternoon to evening. – Salmon hot pot and beef hot pot – 3 Thang 2 Street, the left side of Nha Den Bridge going in 200 m. They serve from afternoon, very crowded. – Fresh seafood Anh Duc: 3 Thang 2 Street, the right side of Nha Den Bridge going in 200 m. This shop is very busy. There are many other delicious restaurants that are not currently listed here. So when you travel, you should ask the hotel receptionist or other people around that area for the best recommendation. Coffee shops in Dalat always offers guest unique spaces. Each coffee shop has its own style, but in general, what you can find in these cafés will be an extremely romantic and dreamlike view next to a fragrant cup of coffee or an ice cream glass for you to experience the feeling of enjoying ice cream in the cold. Sitting on the high coffee shop to look out on the bustling streets, busy markets, you will get a very different feeling from normal coffee shop. If you are not afraid of cold, a tip for you are visiting the coffee shop in the evening when you can see the night market below, and can be immersed the feelings in the night on the mountain town. Coffee & Soda B & B Espresso – Take Away is located at 10 Nguyen Chi Thanh Street. Cung To Chieu coffee shop is at 27K Le Hong Phong Street. Thuy Ta Café and Restaurant is beside Xuan Huong Lake. Tung coffee shop is located in the Hoa Binh area, this serves with a classical music, for music connoisseurs and coffee connoisseur. A series of coffee shops are on the slope up Hoa Binh area. Moc coffee shop is at 34 Hai Ba Trung. At the end of Nguyen Cong Tru Street, near the intersection with Xo Viet Nghe Tinh, there are 3 strawberries shops; they are big strawberry suppliers for Ho Chi Minh City and the southern provinces. Prices are from 30,000 VND – 50,000 VND. You can buy good strawberries on Bui Thi Xuan Street, only morning. Dalat has many tourist attractions for visitor. However, the following are some of the best attractions you should not miss. Location: Nam Ban town, Lam Ha district, 25 km to the southwest of Da Lat city. This falls is still keeping the original’s features, is waiting to be discovered by the natural lovers. Location: 5 km far from Da Lat city center, on the way of Prenn Pass. It was created by Tia stream – head water of Da Tam River. Location: 5 km far from Dalat city center, being on Phung Hoang Mountain, next to Tuyen Lam Lake. The public quarters consists of a ceremonial hall, flanked by the bell tower on the right and guest facilities on the left. At the front of the guest facilities lies a rose garden. Location: Waterfall is located beside Prenn Pass, 10 km from Dalat City. The falls pour water from the rapids 20 meters high, very impressive. The roller coaster system at Datanla waterfall is regarded as the unique one in Dalat city. Location: On Trieu Viet Vuong Street, 2.5 km south of Dalat center. Bao Dai’s Palace is a charming structure with a European renovated architectural style that helps beautify this romantic city. Location: 10 km from center of Da Lat, along National Highway 20 (km 222). Location: 6 km to the northeast of Dalat city center. It has been one of the most picturesque and romantic sites of the city, with many deep valleys and endless pine forests. To truly appreciate the sceneries is not hard because travelers can easily follow the natural tracks and staircases all around the valley to visit and admire the gorgeous flower gates and statues. Location: From the center of Da Lat, you follow the north to Lac Duong, turn left at km 7 in Tung Lam, you go further more about 12 km to the Golden Valley and Golden Lake. Location: 12 km north of Dalat center. You will see Lang Biang Mountains standing imposingly and beautifully like the roof of Dalat city. Legend says that the name Lang Biang was derived from the name a couple who were deeply in love with each other – the boy named K’lang and the girl named Ho Biang. Location: 8 km to the east of the city center, you can take the train at Da Lat Railway Station. These are cheap and economical joining tours which are organized daily. Perhaps you would question: is the cheap tour guaranteed the quality? The answer is: the reason for cheap prices because tours are attended by many single visitors, families, and small groups into big group; tour fees are reduced to the minimum. For those who do not like to do self-guided Trip, or afraid of traffic condition and unstable weather (sunny in the morning and rainy in the afternoon) of Dalat. Note: Joining group tour, you must comply with the given schedule and itinerary of the organizer. If you prefer private tours (with private cars and private guides, you can decide the schedule and itinerary), let’s take part in the tours that are made up and organized by the travel company, or choose your own tourist attractions. You can refer to ➤ the list of Dalat Tour. If possible, in the evening you should drive up the hill to see Dalat lights in romantic night mist (Dong Da Street, or 20 National Road on the way to Linh Phuoc pagoda). If you go in group, you can have dinner at Cu Duc restaurant with grilled porcupine on clay, “ta pin lu” and drink warm rice wine (a little high price, meal for 6 people was 900,000 VND). You should consider before coming here. You should rent a bicycle for 3 people, or a tandem bicycle to ride around Xuan Huong Lake 30,000 VND / 1 bicycle. – Cam Ly Falls: the local people on both sides of the river litter indiscriminately ruining the beauty and causing foul smell. – Motorbike taxi drivers near the Valley of Love often invite you buy strawberries but their strawberries are not good quality and high price. – If you buy Dalat specialties, let’s go straight to the market for buying; do not buy them on the street, tourist area (at the foot of Lang Biang Mountain) or Shop (Phu Dong Thien Vuong Street). For more information on tourism in Dalat, visitors can go to the tourist information center at 01 Khu Hoa Binh, Dalat City. Tel: 0263 3516 888.